Great for dogs of any size it'll make a game of fetch much more fun! It's gentle on teeth and gums so you can feel confident about playing with your loved one. 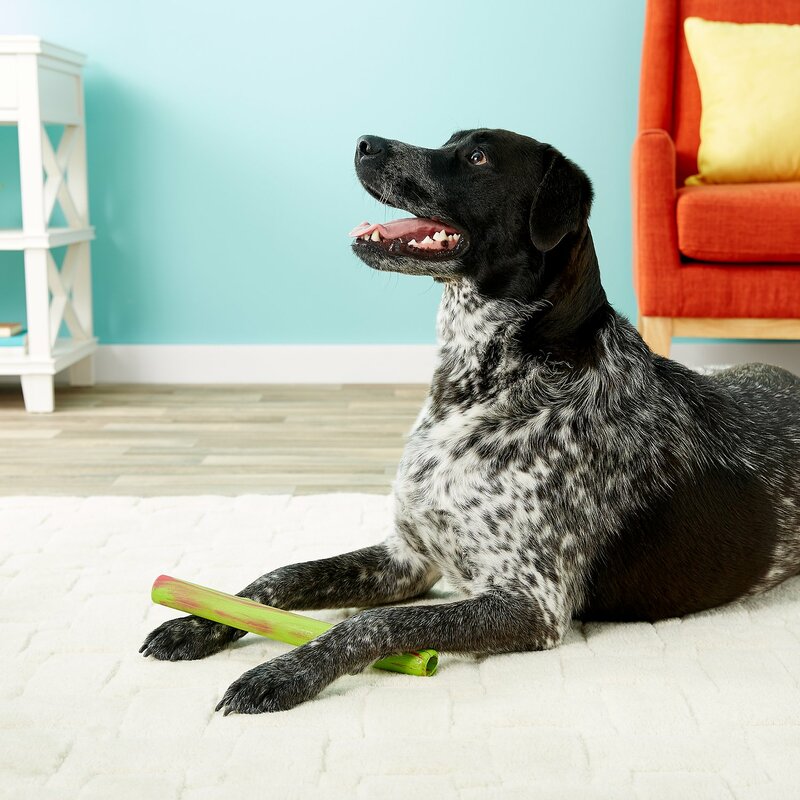 Stuff with your pups favorite treats for an extra special surprise! It's rugged and bendable, tear and puncture resistant, and made from non-toxic super-grade rubber to withstand lots of outdoor fun. Both stick and twig float, so it's a great toy to bring along to the pool, lake, or beach. Available in two sizes for both large and small pets. My dog likes this stick but I was disappointed that the inside crunch liner flew out on the 2nd throw session. 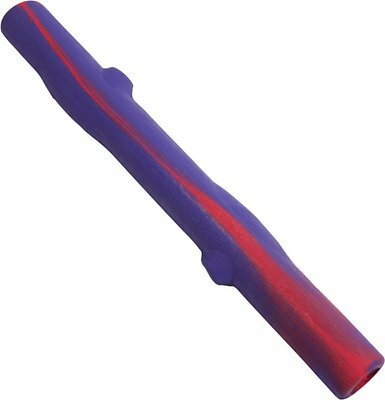 It's basically like a piece of plastic like a fruit roll-up stuffed inside the rubber outer stick. I put it back in but it repeatedly comes out again. Also, this stick is hard to grip and throw once it gets dog saliva on it... so after about 3 tosses. I want to give it higher ratings but it needs some design adjustments. Hi, all! 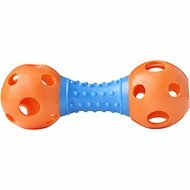 Mama of a destructive 2 1/2 year old 120 lb malamute mix here and my friend recommended this toy to us because our boy destroys everything except nylabones and Kong’s (because he only likes them with peanut butter inside)... I was fully anticipating having to toss this toy after about 30 minutes of play time but it’s been 3 weeks and there’s not even a tooth mark in it!!! This is truly a miracle toy and Rolo’s new favorite toy! 37/10 recommend to ALL pet parents! Dog loves it. Spent about 30 seconds enjoying its newness. Tore a end off and boom, game over. Would chew it up in minutes if I left it. LOVE!!!! its durable but bendy. The pup loves it! You don't know what color your getting, but if you don't care about that then its great! I have a Bernedoodle and she loves chew toys. The only problem is she has them destroyed in minutes. I’m happy to say she has not destroyed this one and I’ve had it for a few weeks now. Others would never last this long. 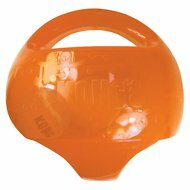 Its great for normal chewing dogs, but power chewers- turn to bits. Our dog responds well to the toy, he understands any names thus "yellow stick" for this toy. Our dog loves this particular stick, he uses it for "fetch", he uses it for a pillow, and he loves to gently chew on. Well worth the $.